Chevrolet Repair in Boulder, CO by Master Mechanics. Book an Appointment Today by calling (303) 449-8949. Ask About Your Free Initial Auto Repair Assessment. In 2015, Chevy’s 104th year in business, the Detroit automaker had a banner year. According to GM Authority, Chevrolet sold just more than 2.1 million vehicles, about 4.5% more than the previous year. To put that into perspective, Chevy sold about as many Silverados (the No. 1 selling vehicle in Big 10 country) in the US last year as Subaru sold from its entire fleet. So, where does General Motors’ classic brand go from here? It’s already created several iconic sports cars, spent two generations pushing forward America’s pickup truck market, and holds the Indy 500 record for choice of pace car (12 times and counting). To get a sense of Chevrolet’s future, you first need to understand its history of innovation. When we first opened up shop in 1983, SUVs were a good decade away from achieving the popularity they’ve since found. But it surprises many people when we note how old SUVs actually are. In fact, the first Chevrolet Suburban rolled off the production line in 1935, making it “the longest-lived, continuous production automotive nameplate in the United States,” according to the Chevrolet website. A generation later, it premiered the now-iconic Corvette, the first regular-production car in the US to have a fiberglass body. During the latter half of the 20th century, Chevrolet made itself synonymous with tough, rugged trucks built for farms and construction sites. Perhaps no other type of vehicle has so embodied the American spirit, which is one reason classic pickups have been fetching ever-increasing sale prices over the last several years. But Chevrolet isn’t resting on its heritage — far from it. Instead, Chevy and General Motors are positioning themselves to be ahead of the curve as America is eyeing the most revolutionary overhaul of its transportation infrastructure since Eisenhower pushed forward the interstate system. In early 2016, GM announced it had invested a half billion dollars in ride-sharing service Lyft to help build an early foundation for autonomous vehicles. Meanwhile, the company recently announced that the 2017 Chevrolet Bolt EV will have a range of around 240 electric miles — even more than what’s predicted in the Tesla Model 3. And if you’re ready to speculate a bit on the future of Chevy’s performance vehicles, there is always the Miray concept, an insane-looking mid-electric roadster that premiered at the 2011 Seoul Motor Show (because “miray” means “future” in Korean). “It strengthens the bond between car and driver, creating a fresh look at what sports cars of the future might be,” GM Korea President and CEO Mike Arcamone said at the time. That spirit of innovation extends to GM’s commitment to keeping its drivers and others on the road as safe as possible. Across Chevy’s fleet, you’ll find some great safety technology. For example, its new model vehicles can assist if you try to make a dangerous lane change, and they can alert you in case you’re approaching cross traffic or head-on vehicles dangerously. Meanwhile, it’s been tweaking and iterating its OnStar technology over the past couple of decades — though consumer feedback indicates there’s still much work left to do. Elsewhere, the Chevy Malibu is noteworthy for its own crashworthiness. U.S. News & World Report ranks it as the No. 1 midsize car for safety, and Teen Driver describes a feature of the redesigned 2016 Malibu models that effectively serves as a report card for parents on how their children are driving. Of great importance to many drivers and car-buyers is how well a vehicle retains its value. 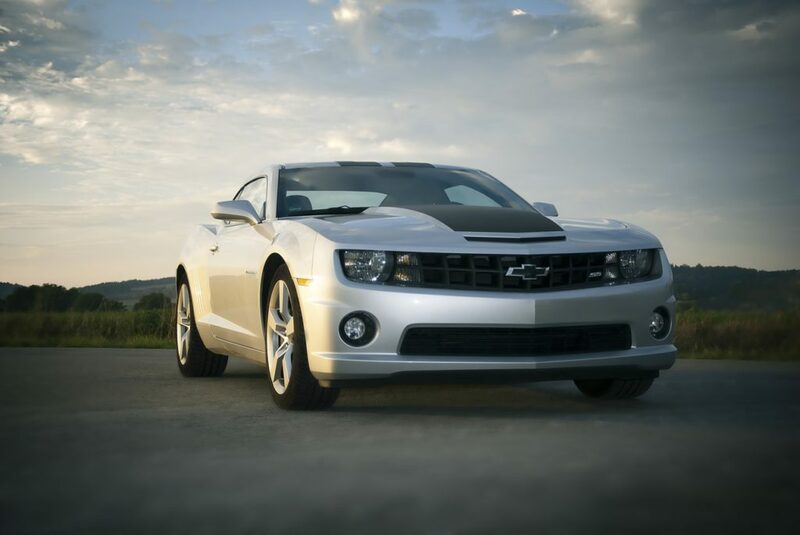 For Chevrolet, resale values and rates of depreciation are all across the board. Among 2016 models, Edmunds says the Chevrolet Traverse and the Chevrolet Tahoe are some of the best in class among large crossover SUVs and large traditional SUVs, respectively. It’s worth noting, too, that those SUV’s GMC analogs — the Acadia and the Yukon — rank right up alongside their Chevy counterparts. And Kelley Blue Book predicts that the 2016 Chevy Camaro SS will retain its value better than any other vehicles in the high-performance sports car category. Interestingly, most Chevy trucks don’t seem to hold their values quite as well, save for the midsize Chevy Colorado. And if you do need a helping hand, our auto repair shop in Boulder is geared to do Chevrolet Repair on a wide variety of Chevy models should the need arise. 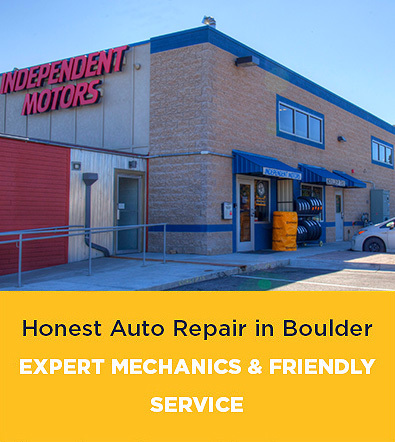 Call Independent Motors today at (303) 449-8949 for the best in Chevrolet repair and auto repair in Boulder, CO. You’ll be glad you did!